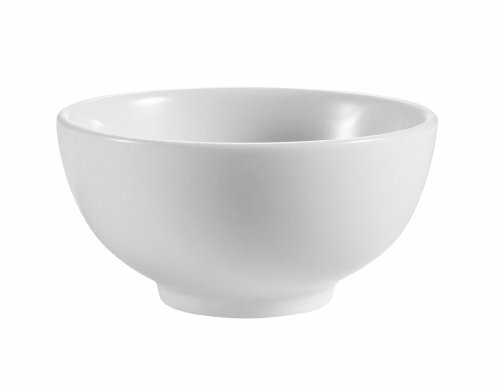 View More In Rice Bowls - Page 2. With a long history in the tabletop industry, C.A.C China has been recognized as a trend leader for its innovative patterns and outstanding commercial grade china. C.A.C China’s mission is to provide quality products at affordable prices to the foodservice and hospitality industry. C.A.C China has a variety of durable dinnerware at all levels, including super white porcelain, fine bone china, bone white porcelain, off-white china, colored glaze china, and Asian style china. C.A.C China offers a wide variety of specialty items from tagines, deep, wavy bowls, to bridge platters in multiple sizes that allow chefs to add a little surprise to each course. C.A.C China owns a 60-acre factory in China that ensures affordable pricing and prompt shipment. All products are oven, microwave, and dishwasher safe. Product specifications and descriptions are subject to change without notice. If you have any questions about this product by CAC China, contact us by completing and submitting the form below. If you are looking for a specif part number, please include it with your message.